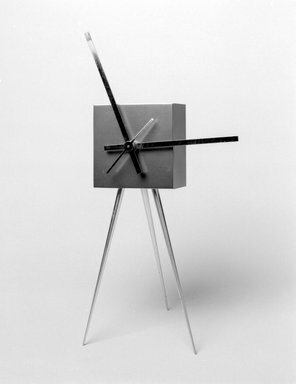 CATALOGUE DESCRIPTION Abaxial Clock, aluminum and other metals. 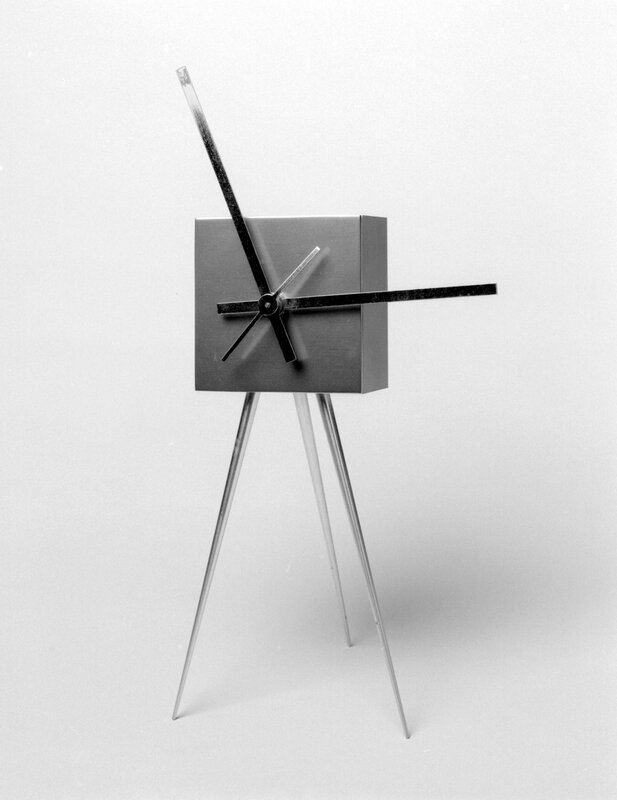 Square, box-shaped clock raised on three splayed long tapering silvered metal, detachable legs. 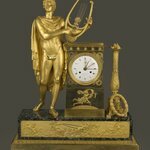 Clock is a gray metal, but with a yellow metal face. 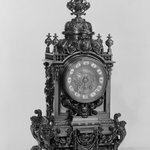 Clock face has no markings; minute, second, and hour hands are silvered metal rectangles. 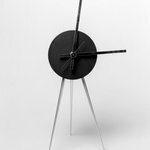 Hour and minute hands extend well beyond the edge of the clock face. CONDITION: Some pitting on legs; scratches and loss of plating on end of minute hand; remnants of (cellophane?) tape and adhesive on back.